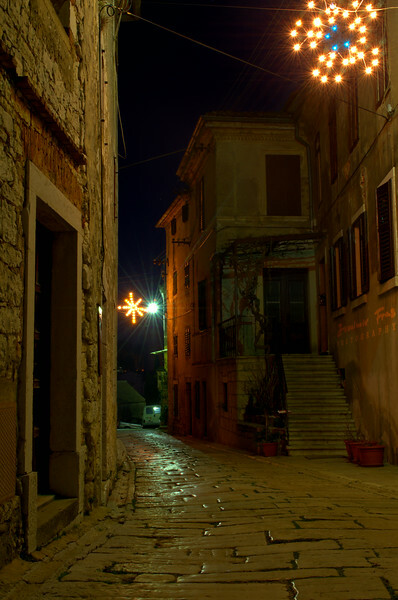 From the long lost archives of What-the-heck-happened-to-my-post comes this wonderful shot of a small Istrian place, called Višnjan. Not to tell a lot historical data about this place (+Wikipedia would be much better source for that), I wanna share with you how I felt those few hours I spent getting lost in narrow streets of Višnjan this winter night. Accompanied by two most amazing people I know, I went into the labyrinth of stone houses and wooden doors to look for this photo. Peace and sense of belonging filled our hearts and made us worm as the night set in. Ever had a feeling you went to past and experienced a world without everyone knowing you were there? Can you feel it in this photo? Did we find it? Hope you had a Merry Christmas and have a Great New Year.